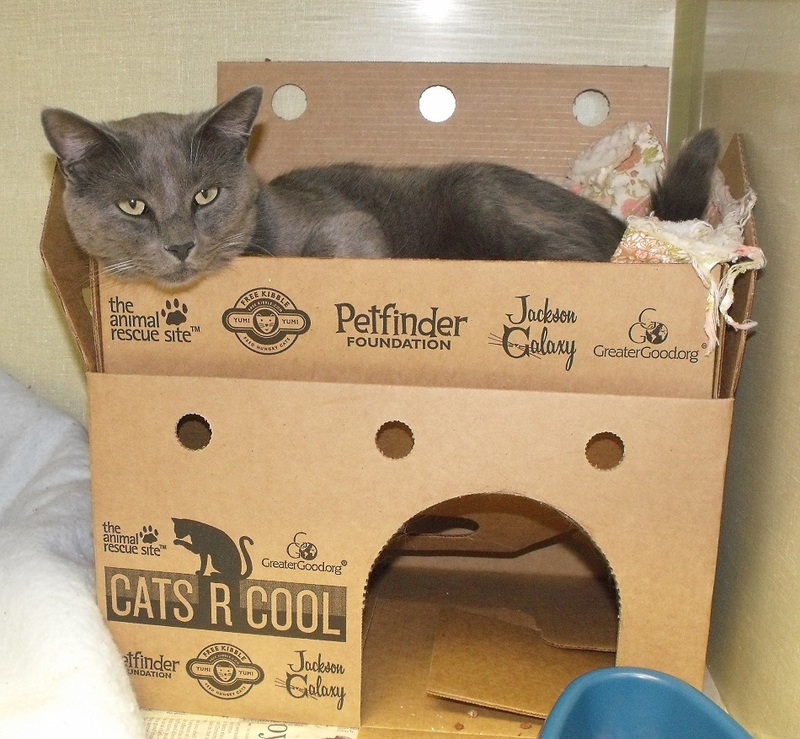 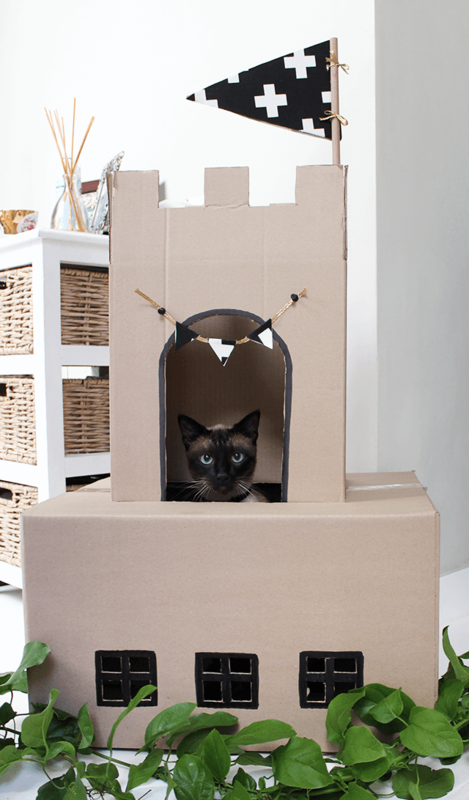 A cat castle offers a cozy place for your pet cat to lounge in. 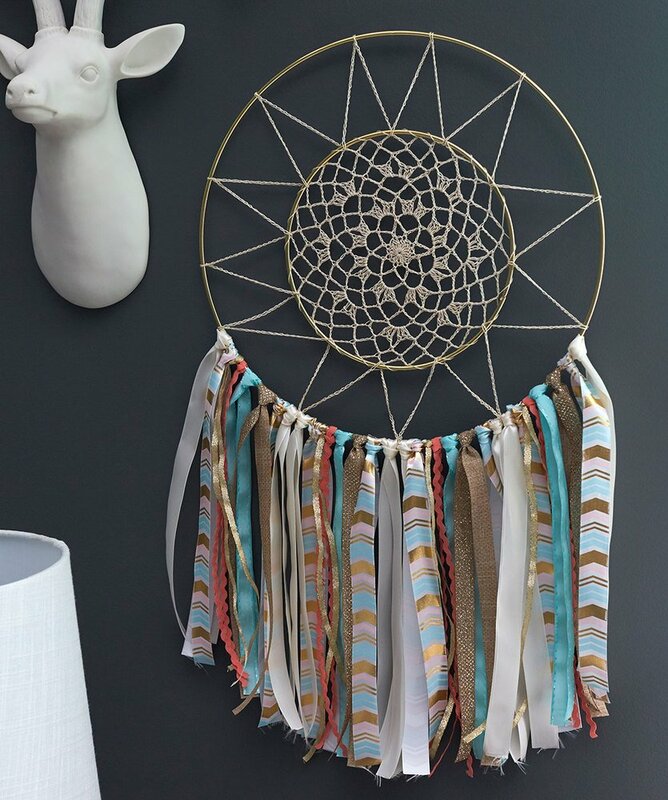 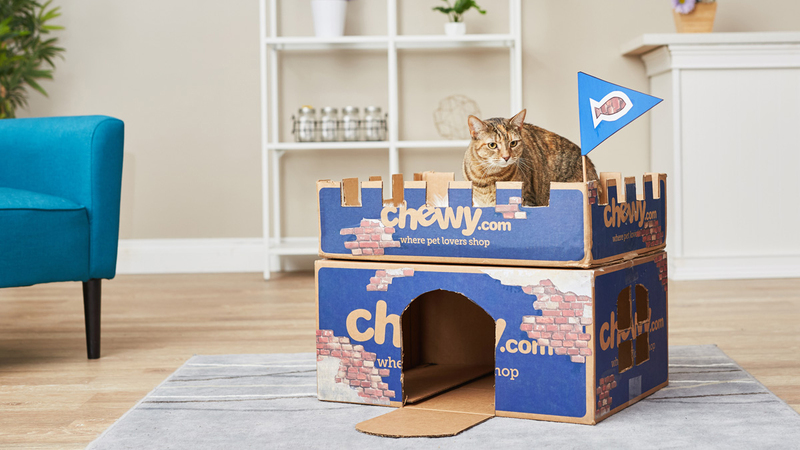 They have a regal aesthetic appeal and could keep your cat engaged for hours. 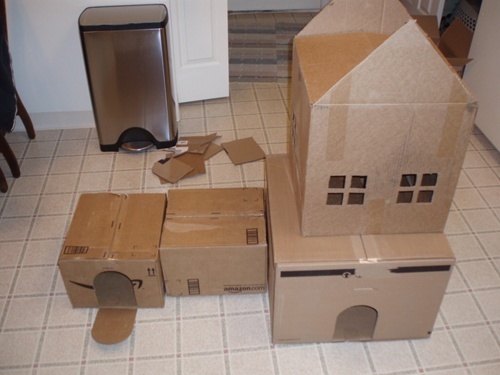 If you make one out of cardboard boxes, you are recycling and making it an eco-friendly project. It will help if you draw a plan on a piece of paper before embarking on the project. 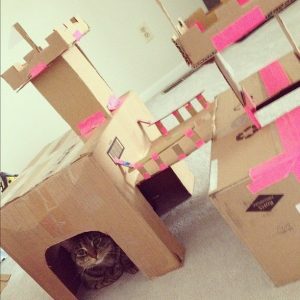 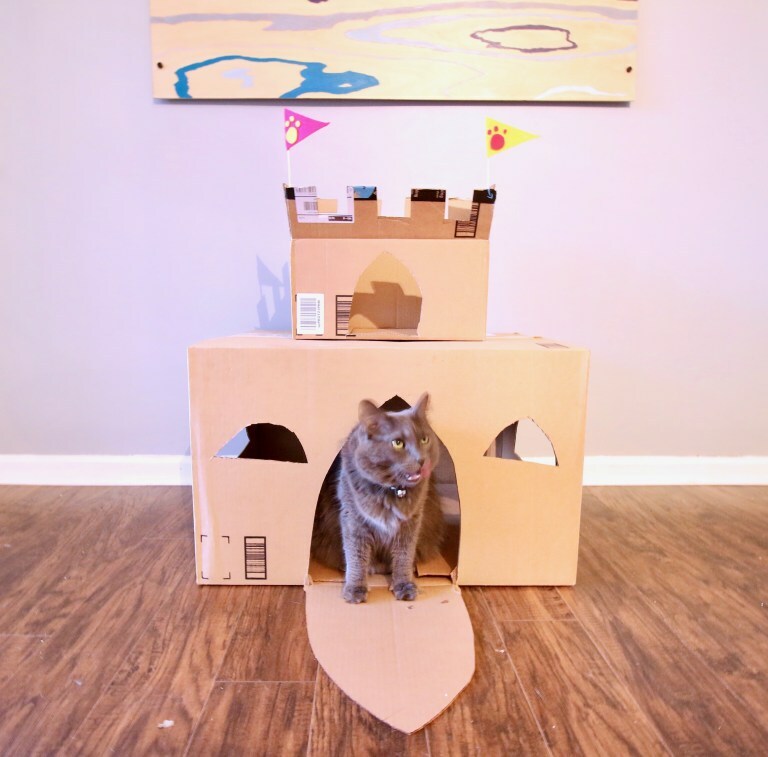 For this DIY, you need a big size cardboard box for the main castle area. 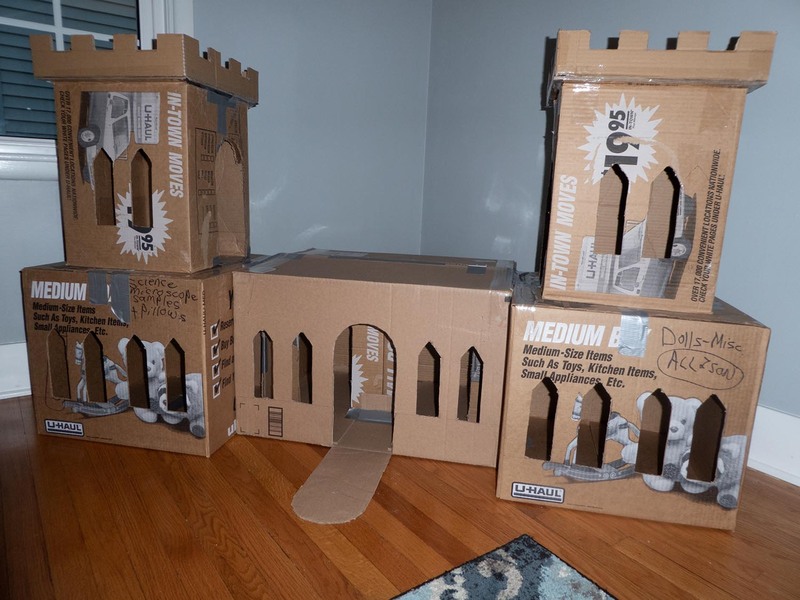 For the castle towers, stack empty paper canisters. Choose cardboard boxes big enough for your cat to fit in. 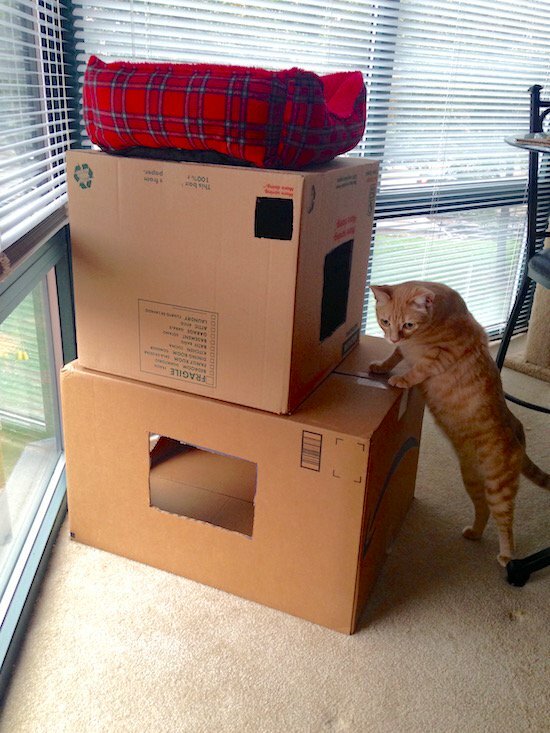 You would also need scissors, a box cutter and strong, clear tape. 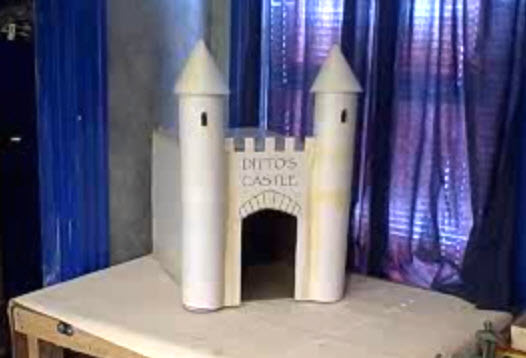 You can decorate the castle with ribbon, felt or other accessories of your choice. 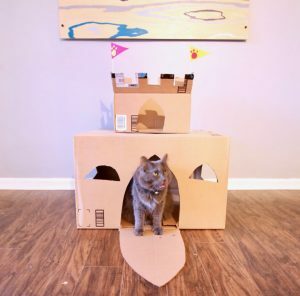 Though the steps are for making a two-storied cat castle, you can add more stories as you go. Start with laying your cardboard boxes flat on the ground next to each other. 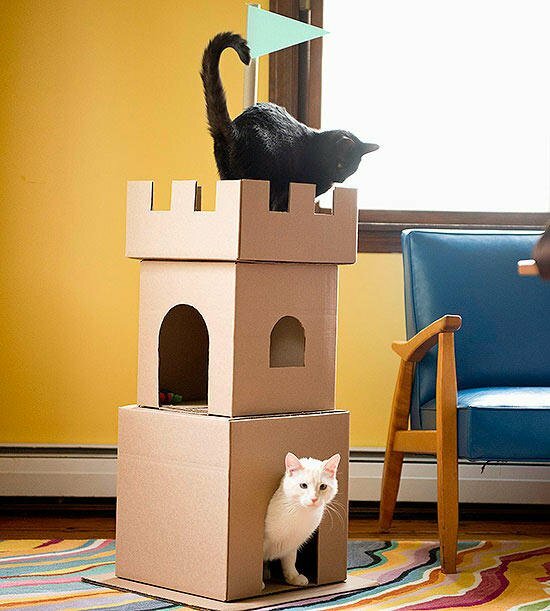 This beautiful cat tree castle would be a delight for your pet to perch on. 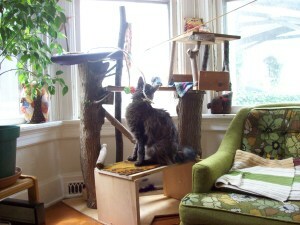 Being made from oak branches, they require a bit of carpentry skills. 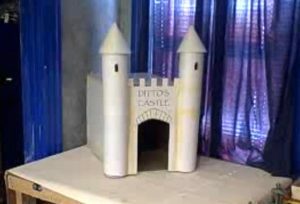 This castle is made extra royal by the addition of a festive drawbridge, grass courtyard, fortress walls, water feature and twin towers. For this cat castle, you require three boxes of different sizes. Arrange them one on top of the other so that the largest one lays at the bottom and the smallest one is topmost. 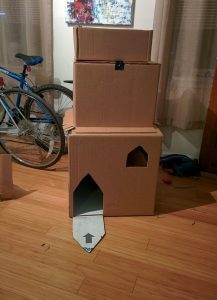 You can make it as elaborate as you want, or just keep it simple by stacking boxes and cutting out the windows and roof. 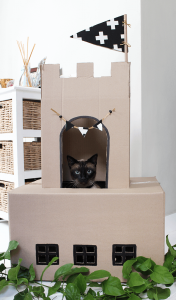 A big castle allows your pet to hide, play and sleep in its abundant nooks and corners. 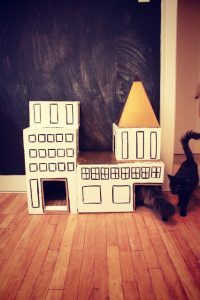 You can draw and decorate the walls, doors and windows doing justice to your artistic skills.